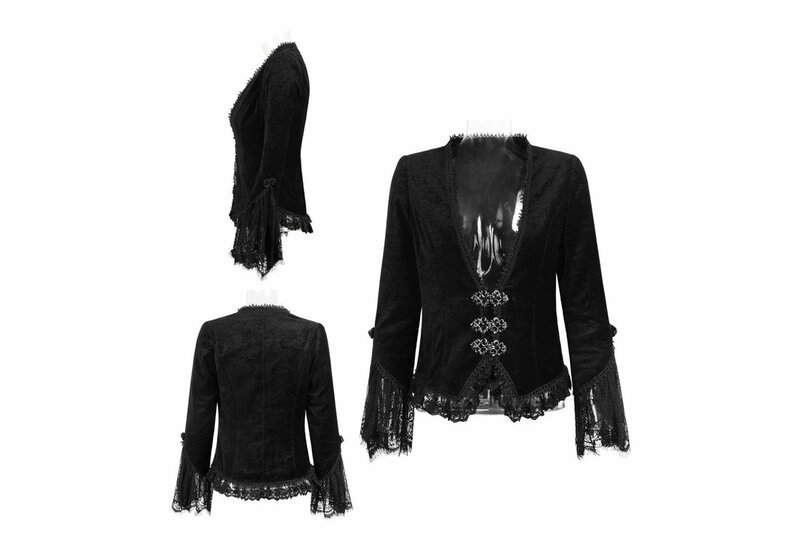 This beautiful Gothic women's coat is as elegant as it is comfortable. The unique gothic slide clasps on the front accents the velvet cashew flower fabric and exquisite three dimensional lace ribbon. The Calista coat is fully lined.